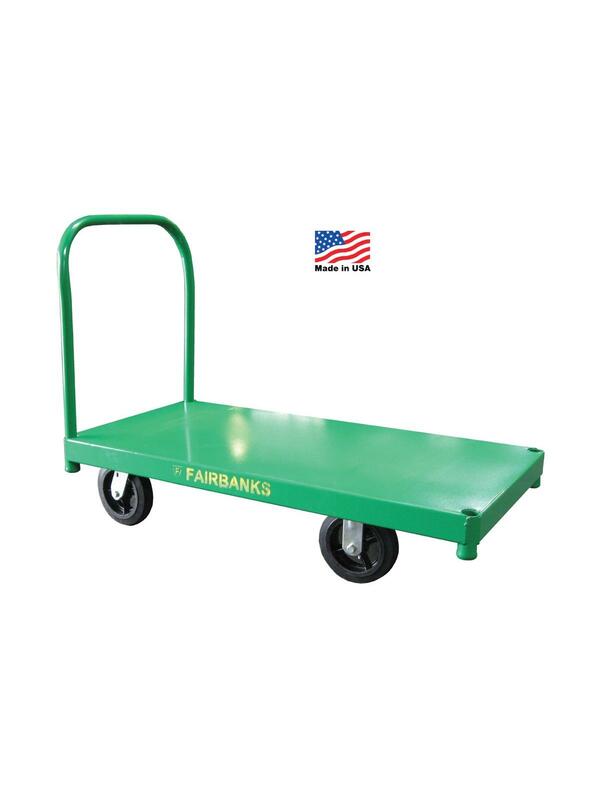 All Steel Platform Trucks | The Rembert Company Inc. Platforms have rounded corners to prevent damage to door frames and other obstacles. 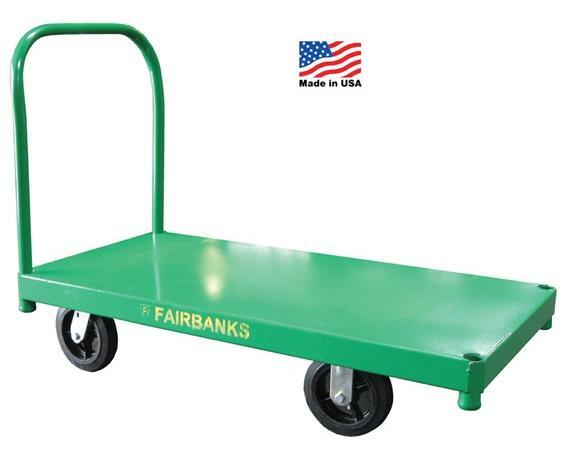 Steel deck is made of strong 14 ga. construction, reinforced with steel cross-battens for convenient handling of uniformly distributed loads up to 3500 lbs. Casters are bolted onto extra caster top plates welded underneath the deck. Handle included. Durable Epoxy Power coated finish. FOB Shipping Point.